Cultivated throughout the world, and used medicinally in ancient Egypt, Greece, and Rome, chamomile has earned global popularity for its calming effects. Using all organic ingredients, it is paired with healing lemon balm and a hint of soothing lavender, plus an added 5mg of water-soluble CBD in each tea bag. 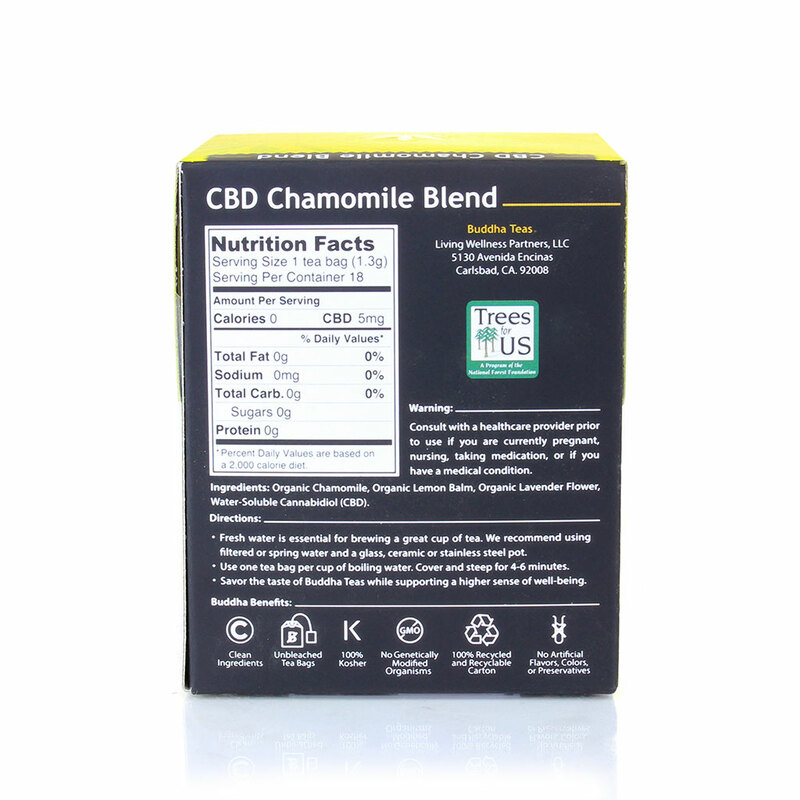 This CBD tea is relaxing, calming, and soothing and is a great nighttime tea to help with sleep, in addition to mood stability, anxiety, and inflammation. Directions: Use 1 tea bag per cup of boiling water. Cover and steep for 3 minutes. Remove tea bag and enjoy!